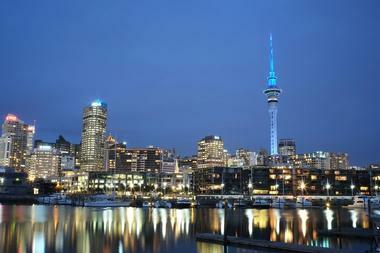 Auckland is the biggest city in New Zealand and a very popular tourist destination. Want to get away from cold weather? Visit Auckland because winter in the Northern Hemisphere is summer in the Southern Hemisphere. The peak season is from November to March - this is the warmest time of the year but also the most crowded time and hotel rates are higher than at other times of the year. The weather at the end of fall which is May and the beginning of spring with is September sees warm and pleasant weather and you’ll have fewer crowds to contend with. 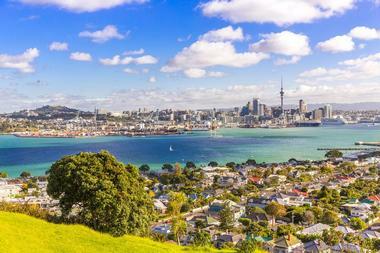 November to March is the best time to visit Auckland, New Zealand. Auckland Weather in January: Summer is at its peak in January with an average high temperature of 73°F (23°C), making it the hottest month of the year. January also receives the most daily average sunshine of the year with 8 hours per day. The average low temperature is 63°F (17°C). In February, the average sea temperature is 70°F (21°C), which means it’s a fantastic time to hit the nearby beaches or lakes. The low and high temperature averages stay the same at 63°F (17°C) and 73°F (23°C) respectively. March sees temperature averages cooling ever so slightly as the high temperatures decrease to 72°F (22°C). The low temperature sees a larger decrease averaging at 59°F (15°C). This signals the start of the fall season in Auckland. Auckland Weather in April: The weather continues to cool in April as the fall season deepens. The average low and average high temperatures range between 55°F (13°C) and 68°F (20°C). Precipitation averages for the month are relatively low with expected rainfall at 40 mm. May sees the average high temperature decreasing to 63°F (17°C). Similarly, the average low temperature also decreases, though by a smaller amount, to 52°F (11°C). In June, the winter season arrives along with high temperature averages and low temperature averages of 59°F (15°C) and 48°F (9°C) respectively. The onset of winter brings with it the lowest daily average sunshine rate of 4 hours per day and a 50 mm precipitation rate. Auckland Weather in July: Temperatures drop to their absolute lowest in July as the average high temperature sinks to 57°F (14°C). Likewise, the average low temperature drops to 46°F (8°C). July is also the wettest month of the year with expected rainfall at 60 mm. In August, the final month of the winter season, the climate starts to warm back up. The average high and average low temperatures come in at 59°F (15°C) and 46°F (8°C) respectively. September sees the upward trend in temperatures continue with low and high temperatures ranging between 50°F (10°C) and 61°F (16°C). Precipitation averages decrease to 40 mm. Auckland Weather in October: Spring weather is beautifully mild in October with 63°F (17°C) as the high temperature average. Meanwhile, the low temperature average also sees an increase to 54°F (12°C). November receives a relatively low amount of rain by Auckland’s standards with a precipitation average of 40 mm. The average high temperature sees another increase to 66°F (19°C) alongside the average low temperature which rises to 55°F (13°C). In December, the summer season returns to Auckland with a 7-hour daily average sunshine rate. The high temperature average hits 70°F (21°C) while the low temperature average peaks at 59°F (15°C). Truly, there’s never a bad time to visit New Zealand. At any time of the year, there’s always incredible fun to be had an even more awesome views to be seen. The best time to visit for outdoor activities like hitting the beach or the cycling trails is definitely in December through February when summer arrives. For avid hikers who don’t necessarily want to run into throngs of tourists, the autumn months of March through May is the best time to visit. Winter is a fantastic time to visit for winter sports as the ski fields begin to open. It’s also a fantastic time to explore the backcountry valley trails. Lord of the Rings fans will get a kick out of visiting the sights and sounds in spring as a bit of snow still remains from winter making the mountainous views absolutely breathtaking. Many tourists arrive in Auckland by plane. The Auckland International Airport is about 13 miles south of the city and is served by more than 25 international airlines. The airport has many amenities such as a visitor’s center, the largest duty-free store in the Asia-Pacific area, and the domestic terminal which is just a 15 minute walk from the international terminal. 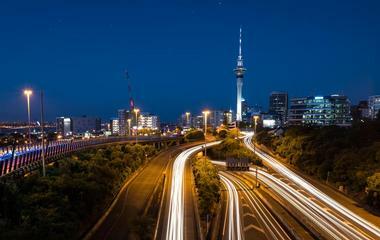 If you are already in New Zealand, there are several ways to get to Auckland. 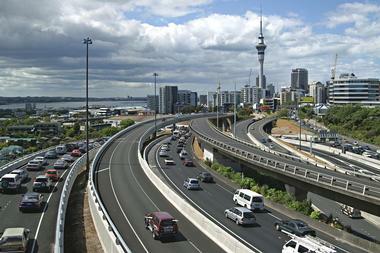 There are many expressways and motorways that connect other areas with Auckland: renting a car is one option. Some people arrive by cruise ship or by rail. The Auckland International Airport offers several ways to get to downtown Auckland. Licensed car rental companies are located at the terminal buildings or close to the terminals: there are many companies from which you can choose. Several taxi companies provide transportation services between the airport and downtown. There are also several shuttle companies that will take you to your inner city accommodations. SkyBus is an airport transfer service between the airport and the city: this service takes between 40 and 60 minutes. For visitors who want to arrive by train, the Papatoetoe Train Station can be reached by the 380 Airporter bus. Tourist information centers are called i-SITE Visitor Information Centres in Auckland and other places in New Zealand. There are two centers conveniently located in Auckland: one is found at Princes Wharf at Quay and Hobson Streets; and the second is located at the Atrium, SKYCITY Auckland. All of the i-SITE locations are staffed by professional trained and friendly locals who want to help to make your visit as pleasant as possible. They offer information on where to stay, where to eat, what to see, where to shop, and more. There are free information guides and maps that are available at the centers. Auckland has an excellent public transportation system called Auckland Transport: this system includes buses, trains, and ferries. The Link Bus Service is one of the best ways to get around Auckland. They are easy to spot: they are green, red, or yellow. Because the buses provide such frequent service, there’s no need for a timetable! Just wait at one of the many bus stops, pick the right color bus, and hop on. Using a car is not your best option mostly because parking is hard to find. Trains run between Auckland and nearby suburbs and the Devonport Ferry takes visitors to the nearby popular Waiheke Island. Many of Auckland’s sights are spread out which is why the bus is such a good option. 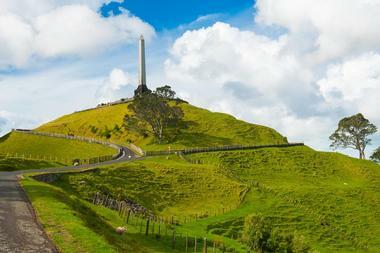 However, visitors who stay in the central business district can walk to quite a few of Auckland’s top attractions. Some people choose accommodations in the central business district for this very reason. There are also designated Central Auckland walking routes. Many people like to see the sights of Auckland by bicycle. Cycling downtown can be challenging but the Auckland waterfront along Tamaki Drive is a popular ride for cyclists. There are several other popular places to cycle including the Quay Street Cycleway and the Nelson Street Cycleway. There are several other ways to get around Auckland. Although driving in downtown Auckland can be problematic because of the scarcity of parking, a car can be a great way to explore places just outside of Auckland. There are car rental agencies at the Auckland International Airport as well as many places throughout the city. Another way to get around the city is by motorcycle and scooter. The Auckland Transport system offers free parking for motorcycles and scooters in all of its car park buildings. Using the services of a taxi is also an option for short trips around the city. Auckland is a melting pot so it is no surprise that there is a huge variety of dining options in this “City of Sails.” Fresh seafood and Pacific-Rim cuisine are at the top of the list. The other good news is that the world-class food served at restaurants in Auckland is affordable. 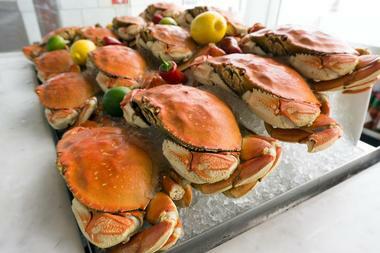 There are restaurants all over the city, but there are several places that are known for their great eateries. One of these is the Viaduct Harbour Area, in the Britomart Precinct, and along Ponsonby Road. On the North Shore check out what the restaurants have to offer in Devonport and Takapuna. 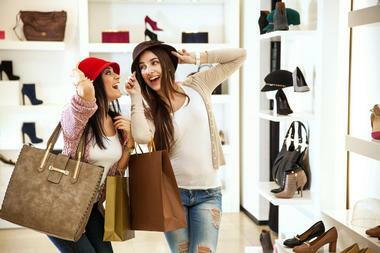 Just like its restaurants, Auckland offers a wide range of shopping venues to please every visitor. The most elegant duty-free and tax-free department store is DFS Galleria Custom House. Looking for antiques? There are many antique shops in the Parnell, Ponsonby, and Remuera areas of downtown Auckland as well as the Epsom area. Stores selling the best in art, accessories and New Zealand fashion are located in the High Street-Vulcan Lane-O’Connell Street areas. There are also many shops on Queen Street as well as the little side streets. Farmers’ markets offer gourmet food as well as fresh produce. 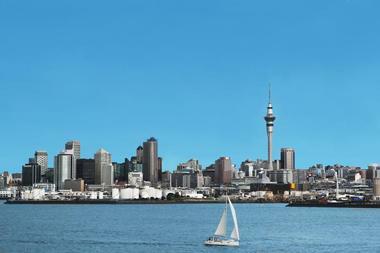 Visitors are surprised to find out that Auckland is actually made up of four cities. These are Auckland proper, Manukau, North Shore, and Waitakere. These four areas are all connected by a motorway network. The inner city or central business district is home to many accommodations and attractions. This area and East Auckland have a very cosmopolitan feel with a growing Asian community. North Shore City is casual and contemporary with a little taste of California. Waitakere City is to the west and is the main wine growing area for Auckland. Manukau City is known for its blend of Polynesian and European lifestyles. Auckland is a wonderful place for a wedding: it is full of great venues with spectacular views. To get a license, you just apply at one of several registry offices. Some of the popular venues that are found at accommodations include Hotel DeBrett, the Langham Auckland, and Bethells Beach Cottages on Auckland’s west coast with its stunning setting. Rydges Auckland offers its Rooftop Terrace with unforgettable views. The Boat House at the Riverhead is a beautiful location with its old oak trees and charming gardens. 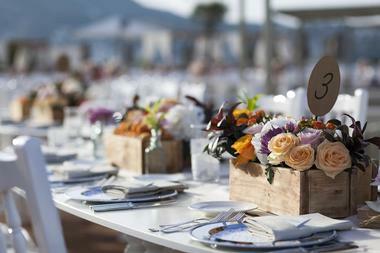 The Wharf is a special venue: it is surrounded by Waitemata Harbour and set in native trees. 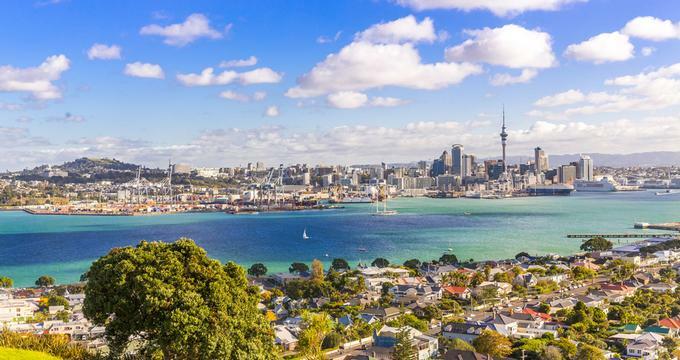 There are many different kinds of accommodations in Auckland from which visitors can choose: they range from five-star hotels to quaint bed and breakfasts. There are farmstays and homestays, holiday homes, holiday camping parks, and serviced apartments. Luxury properties include Delamore Lodge on Waiheke Island, Auckland Takapuna Oaks, Hilton Auckland, and Hotel DeBrett. Some of the accommodations in downtown Auckland have amazing views of the harbor and the many sailboats. In addition to expensive properties there are some affordable accommodations in the downtown area like the Scenic Hotel Auckland and the Kiwi International Hotel. 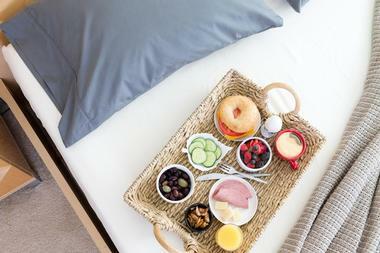 Most of the bed and breakfasts are located out in the suburbs.